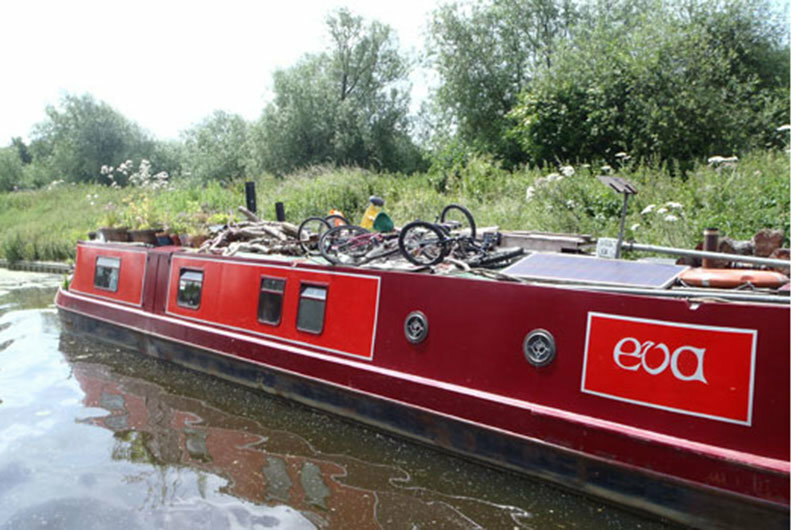 Bicycles and scooters are a popular mode of transport for narrow boaters as they can easily be transported with you on-board. It’s nice to leave the confines of the towpath sometimes and explore the local area. Whilst it’s relatively easy to take advantage of local transport, a bicycle or scooter can be a real addition to exploration. Carriers make hauling the shopping back from supermarkets a lot easier too. 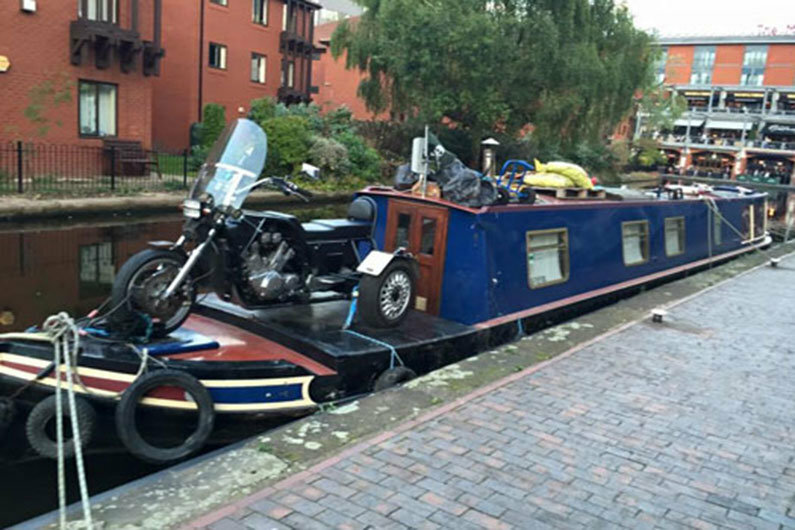 Bicycles are relatively easy to store on a narrow boat, heavy scooters and small motorbikes less so. Security is an issue, so make sure any bike is either under cover and out of sight or securely locked up. You don’t want to invite unwanted company! Folding bicycles are an elegant option and shopping around the internet will turn up some models that will fit in narrowboat bow lockers. The roof for storage is a popular option but note security is important. Be sure that peddles and handlebars cannot catch low bridges or hanging branches. It’s worth having an adjustable spanner and allen key handy to be able to lay the bars flat. Ask us how we know! Gunwales can be hinged to allow access on cruiser sterns for scooter ramps and some owners have come up with some ingenious hoist and swinging ramp ideas. 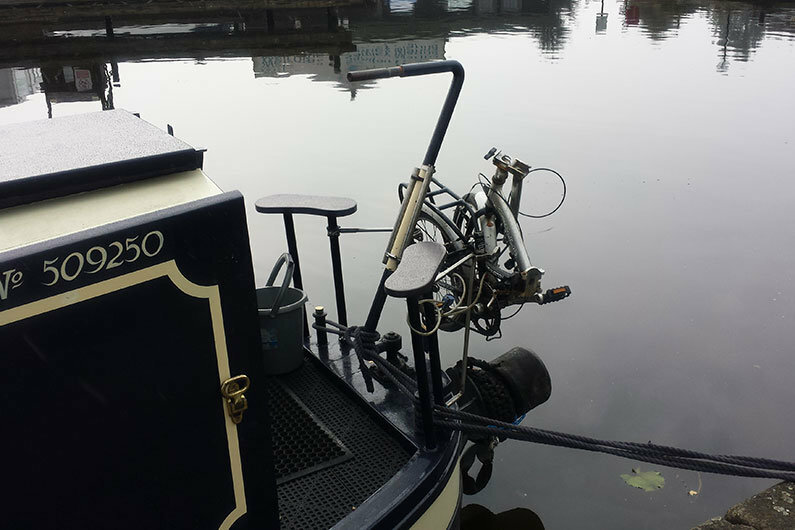 Smaller scooters can be fitted into the bow deck on some narrowboats, but access for loading and unloading can be difficult.